Home » Connectivity » Running a successful online business in Zim: How did classifieds.co.zw do it? Recently Zimpapers took a huge step into online business with a news hub that represents all their print editions as well as as a new site targeted at sports news. Part of this new effort also includes a new online classifieds site, zimpapersclassifieds.co.zw, which essentially extends their print classifieds section to a digital platform. There’s a lot to anticipate from this. Its success will depend on how Zimpapers gets a lot of things right, over and beyond their advantage as a well established print classifieds business. There is the challenge of competition from established players like classsifieds.co.zw that have done a lot to figure out online business locally. It will also be interesting to see how Zimpapers will carve out its niche in a market that has drawn well funded but foreign owned entities like Lamudi and property24.co.zw. 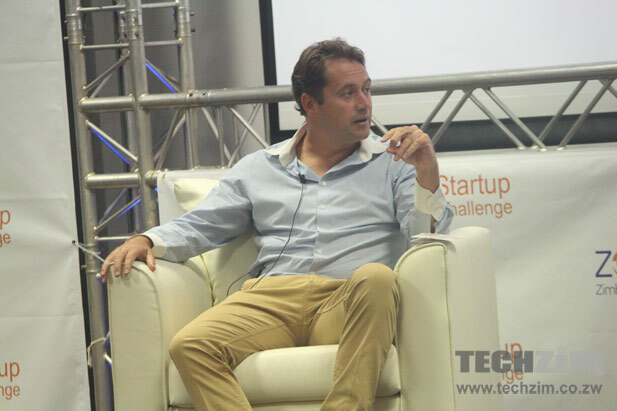 At the ZOL Startup Challenge Finals we managed to get opinions on some of the issues regarding success in online business, online classifieds business and tech startups from Garth Drummond. Drummond is the founder of classifieds.co.zw which is the largest web based business in Zimbabwe. He is also the CEO of Webdev. In this chat Drummond shared part of the classifieds story and his experience in online businesses in Zimbabwe. He also touched on the huge importance of elements of business (other than the tech ) in running a startup that eventually determine the success or failure of that new business. Also discussed was Webdev’s involvement in e-commerce through Paynow and the challenges with the business environment that have affected classifieds. There is also Drummond’s opinion on the competitiveness of the market and the presence of players like Rocket Internet which Drummond says used some of classifieds’ content without approval. What are your own opinions on the business of online classifieds in Zimbabwe? How do you think smaller startups will fare against bigger entities like Classifieds and Zimpapers? Very nice and inspiring, thank you Techzim. But i don’t seem to understand why most guys in Zim have a negative attitude towards Open Source CMS s like Joomla etc. I personally think that’s the way to go of course with a little html and css experience you can launch a perfect website. Like what Garth says “content is king”. Not everyone has got a spare house to sell and fund a custom coded project, and not everyone is going to win the Startup challenge. Open Source is the starting point for all aspiring entrepreneurs “like me ” who do not have the budget. I think someone should come up with a competition for Open Source projects because i think the possibilities are endless. classifieds.co.zw is a very good site but to me it looks like more features can be added to it but because its custom, it takes long to accomplish simple tasks, people need new cool features often. No one seems to be competing i this space, i guess i will take it upon myself. There is also no harm in buying themes (themeforest) some of the designs ive seen on our sites are craaap. Looks like I can also buy code for the same cms and customise colors, is that what we call a custom code? Could you guys (techzim) ease up on the auto-playing Soundcloud audio? If I want to play it, I know where to click. This is one of the best podcasts I’ve heard with a guy who’s actually done what he’s talking about, successfully. Learned a lot from what he shared.